How can companies cut costs on external remote monitoring but still maintain a high or even higher level of security than they already have? The answer it seems may be to install thermal CCTV cameras. The increasing reduction in the price of thermal security equipment is meaning that installers and end-users are increasingly more interested in protecting sites with thermal imaging cameras instead of deploying traditional CCTV cameras. The reasoning behind this shift is relatively simple. 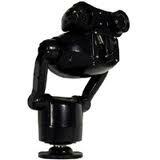 Thermal CCTV can cover far greater areas without the need for expensive lighting. The combination of the cost of installing this lighting together with the running costs associated with it over the lifetime of the security system means forward thinking installers can justify the cost of installing a more expensive thermal camera solution in the first instance. Add to this the benefits that thermal cameras will operate in any weather conditions and in total darkness and will operate over far greater distance. Suddenly end users are starting to sit up and take notice. With thermal security systems, false alarms are more or less a thing of the past. Objects become incredibly easy to identify on screen, either with the naked eye or with the use of advanced analytics. The thermal solution is not of course of benefit for evidential purposes , however not many analogue CCTV systems are either. HD CCTV is the only way to tackle the issue of identification. So thermal CCTV is making in-roads into all areas of security now and as customers become ever more aware of the way thermal can help them, the price continues to fall. 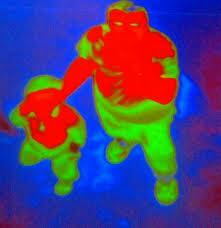 This is good news for all those involved with thermal CCTV. This entry was posted on Tuesday, May 1st, 2012 at 19:59	and is filed under CCTV. You can follow any responses to this entry through the RSS 2.0 feed. Both comments and pings are currently closed.